How can a fresh embrace of the Ten Commandments contribute to the restoration of ourselves, our communities, and the furthering of the gospel in the world? Eugenia Gamble, author of the 2019-20 Horizons Bible Study notes that nowhere in the Hebrew text does the word for“commandment” appear. She says,“In the Bible, these utterances are called just what they are: ‘words.’ I’ve chosen to use the term ‘Ten Words’ because it is the biblical form and opens us up to looking at the Ten Commandments in fresh ways.” Join Gamble for an exciting and inspirational dive into the Ten Words and gain insights for leading this enriching study at your church. Dates: August 24th, 2019, 9:30 a.m. - 3:00 p.m.
Eugenia Gamble is a PC(USA) pastor who has served the church for more than thirty years. 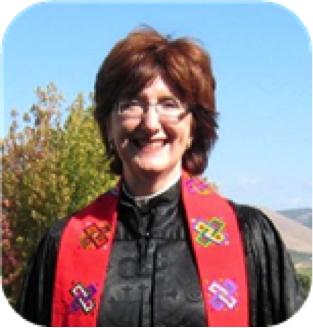 Her first call was to Presbyterian Women as the staff associate for women’s leadership development for the General Assembly Mission Council. She served pastorates in Alabama, Colorado, and California, and the Presbytery of Sheppards and Lapsley as associate executive presbyter. She is an author, speaker, preacher, and retreat leader who loves nothing more than helping the Bible come alive in people’s lives. Eugenia is married to Rob Phillips; they live on the central coast of California with their beloved keeshond, Abigail. Eugenia joined her first PW circle in seminary and says she would not have been able to negotiate life without her sisters.